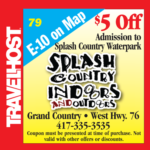 Show this coupon and save at Splash Country in Branson! Tap coupon to enlarge. 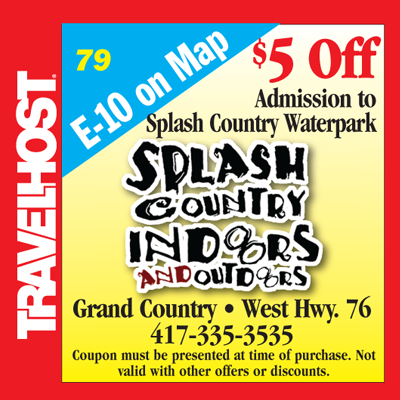 Located at Grand Country, Splash Country offers Branson’s best indoor water park experience. Complete with a 3 story treehouse with interactive play features, tube slides, lazy river, a newly renovated toddler play area, hot tubs and a seasonal outdoor water park area, you’re sure to have a grand time. Look out below when the 1,000 gallon tipping bucket sends water flowing down the tree house.